Coordinate, design, and monitor test management activities in a single consolidated QA environment. 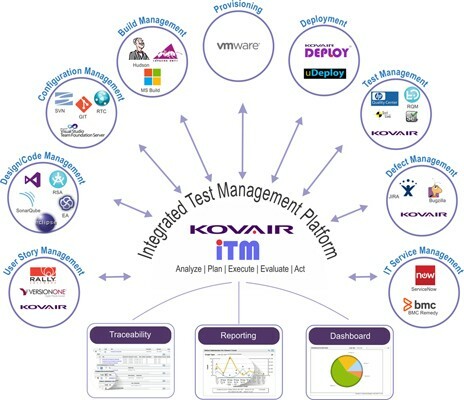 Kovair integrated test management solution helps to accelerate software testing. The growing variety of applications available in the market—such as hybrid applications, cloud computing, mobile platforms, and DevOps—has made testing increasingly challenging today. Organizations need comprehensive test management tools along with support for continuous testing that will help to deliver quality within a short span of time. Single Web Interface: that integrates Test Management with other lifecycle phases to ensure better Quality. End-to-End Traceability: between multiple tool data for better release predictability. Real-Time Reports: of test results for continuous monitoring and quality check. 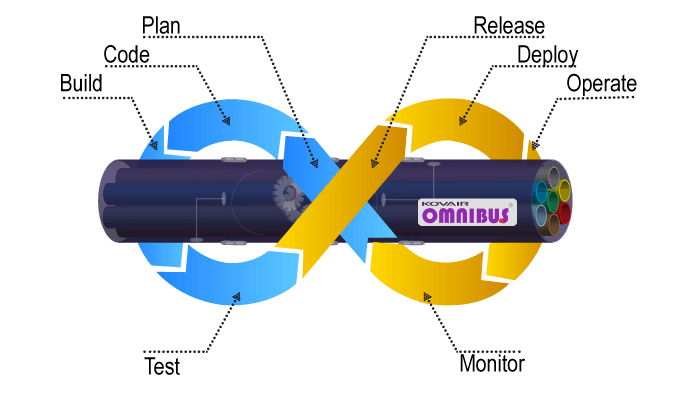 Continuous Testing: through integration with test automation tools. Organized Test Data Management: in different folders for better management. Schedule-Based Test Automation: for script execution. Download Test Management brochure to get an overview of Kovair offers. Task-based workflow and integration across multiple tools for reduced cost and increased quality. Single interface for manual and automated testing. 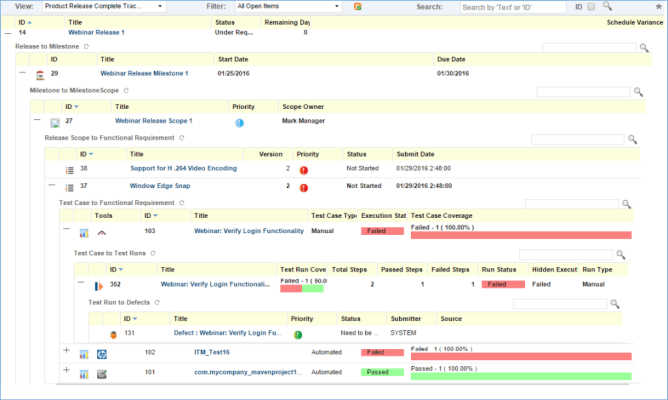 Collaborative test case review system for managing frequent changes. Align testing with rest of the development activities. View traceability relations from requirements to defects. Generation of powerful reports and metrics for actionable insights. Maintained Test Step Parameters and call for test to reuse the same tests for different scenarios and projects. Attachment support: for files stored in local folder system as well as from cloud. Establish traceability links between test artifacts of entire test suite and other lifecycle data. View and analyze change impacts on test artifacts with respect to change in requirements. 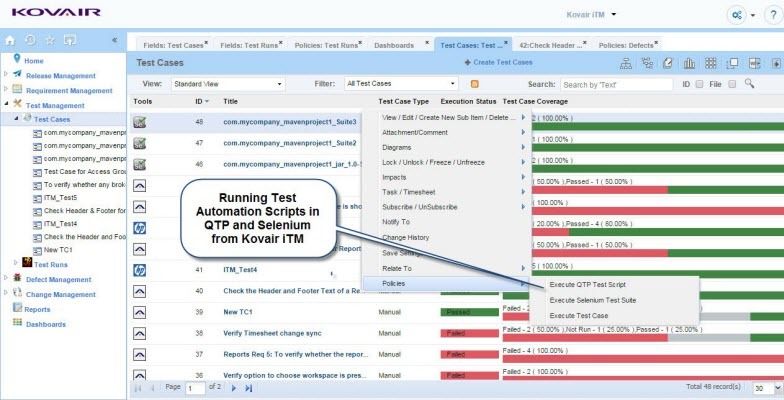 Execute QTP or Selenium Test scripts directly from Kovair interface. Track and view test automation results from a single centralized test tool. No dependence on external tools or tool configurations for tracking results of entire test suite. Gain complete visibility for monitoring who is working on what, when, where, and why across all phases of the lifecycle by leveraging the benefits of built-in integrations support with 80+ tools from different areas of ALM, PPM, ITSM, and PLM. Gain full visibility of Test Plan, Test Case, Test Runs, Test Results and Defects in a single place and their meaningful interpretations. Real-time reports and dashboards and end-to-end traceability chain give better release predictability. Our testing tool provides integration support for Requirements, QA, Development, and defect tracking tools. We also have expertise in integrating homegrown tools. Automate triggering of builds, provisioning, deployment, testing and defect tracking cycle. Kovair’s integrations with ~80 COTS tools can help you set up a CD – Continuous Delivery environment. Organize your test artifacts in a well-organized folder structure. These hierarchical folder structures can be created by users based on business logic. Design and Implement a task-based workflow over a graphical editor to achieve regulatory compliance through proper approval.